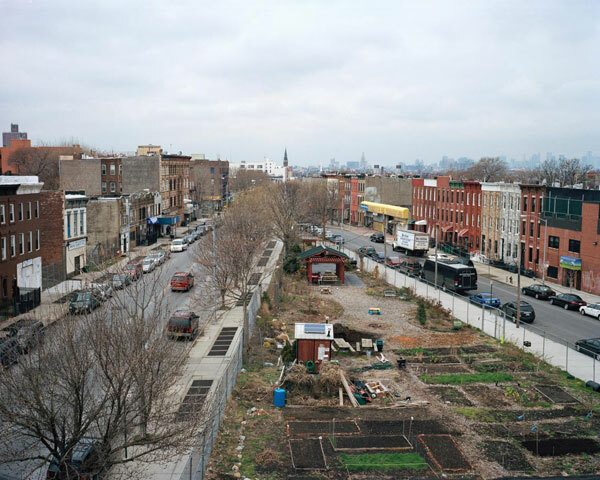 New York City is home to over 700 food-producing farms and gardens spread over 50 acres of reclaimed lots, rooftops, schoolyards, and public housing grounds. This week at a launch and press event, the Design Trust for Public Space (in partnership with the Brooklyn-based non-profit community farming project Added Value) debuted the most comprehensive survey yet of the city’s urban agricultural infrastructure, Five Borough Farm: Seeding the Future of Urban Agriculture in New York City. Currently, the non-profit organizations, commercial entities, institutions, and community members who operate urban farms lack a reliable means to obtain resources such as land, soil, compost, and funding. 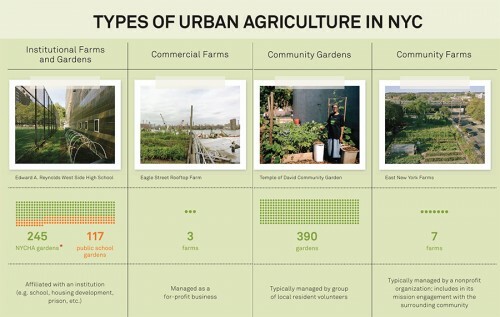 Five Borough Farm lays out a roadmap for the integration and expansion of New York’s urban farms, with analysis of present conditions, metrics that establish a common framework for evaluating success and determining strategies, and policy recommendations that would make agriculture integral to city planning. 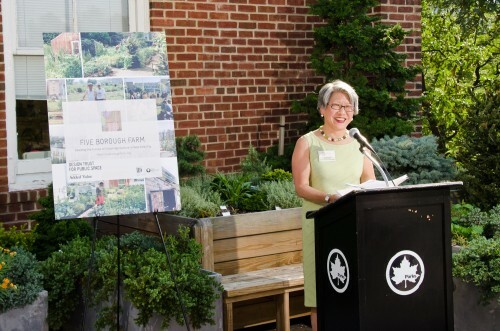 Five Borough Farm describes the health, social, economic, and ecological benefits of urban farms. Distributing food to under-served communities and providing nutritional education supports public health. By developing unused land, farms and gardens fill gaps in the streetscape and create space for community gathering and organizing. Farmers are able to sell their food in farmer’s markets, while education and stewardship programs empower youth and provide job training. Gardens can act as filters for wastewater and composted food waste while working to detoxify soil and educating communities about sustainability. The study builds on New York’s existing urban agriculture initiatives, calling for a citywide interagency task force that would coordinate policy and procedures for organizations that manage farms and to allocate resources and land to those organizations. At the launch event, Design Trust Executive Director Susan Chin described the need for this body to engage with communities in the planning and operation of urban farms: “We need to select, digest, upload, and disseminate information and data on farms to the community.” The metrics established in Five Borough Farm describe agricultural production, biodiversity, employment, and impact on health, allowing communities to monitor their progress and receive necessary support. Raymond Figueroa, a program director at South Bronx-based Friends of Brook Park, trains youths in urban agricultural production. “The real power of urban agriculture is the promotion of healthy living,” Figueroa explained, pointing to precedents demonstrating how such initiatives can be effective. During the Great Depression, for example, Relief Gardens provided social stability and well-needed food. “Communities can actively engage in the cultivation of land—the fight we have is alerting communities to the possibilities they have,” Figueroa said. So what’s the next step? Phase two of the project will bring in New York City government to help locate 100 publicly-owned sites with the potential for food production. Columbia University’s Urban Design Lab will partner with the Design Trust in identifying under-served areas, growing conditions, and suitability of land. The trust hopes to formalize the city’s support by initiating new programs and subsidies, while partnering with departments that are not directly responsible for urban agriculture, like Waste Management.